The Burchell Desk Chair by Eichholtz combines a traditional upholstered seat inspired by the master furnituremaker, Thomas Chippendale, in a recognisably George III Gainsborough style with a modern, multi-castor base for elegance and practicality. 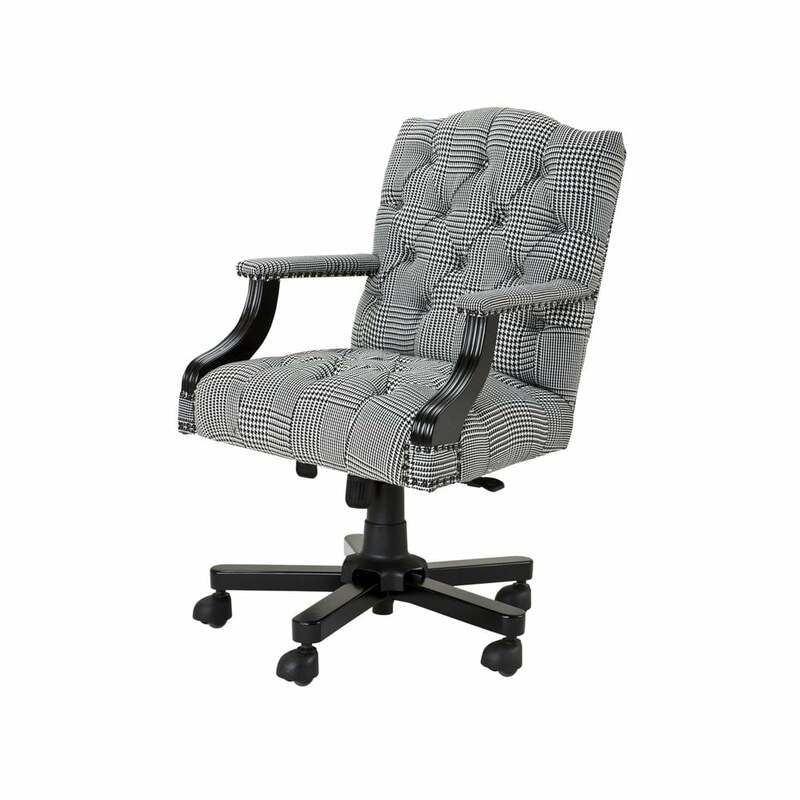 The luxurious button back upholstery is available in a contemporary check fabric finish in either Dixon black and white or Dixon brown and white complete with black studwork, highlighting the quality craftsmanship and highest attention to detail. Perfect for the office or home study, the Burchell Desk Chair will enhance a range of classic contemporary or period properties. Style with faux fur rugs, stag heads and a menagerie of taxidermy for a traditional Highland inspired theme or soften and enhance period architectural features such as metal girders and exposed pipework in an Industrial scheme. Here at Uber, we have an extensive directory of Eichholtz luxury homewares and other, similarly high quality interior brands to choose from. Why not contact our expert interior design team for further details and inspiration to help you find the perfect curated collection for your next home, yacht, bar or hotel design project?